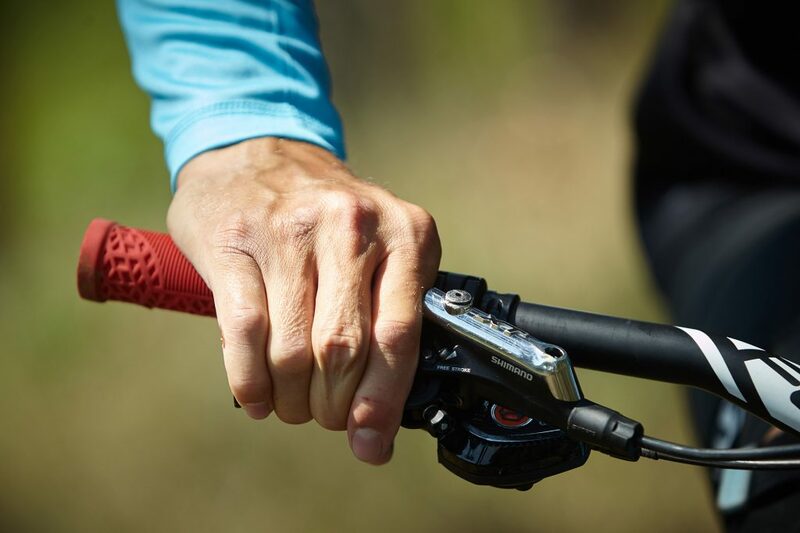 Stiff fingers, cramps in both wrists and forearms, later response or weaker braking efficiency – all of these inconveniences may be caused by a simple operation, such as braking levers set-up, or by using wrong fingers for bringing your mountain bike to a halt. Let’s see how to do it right and take a look at the incorrect options. 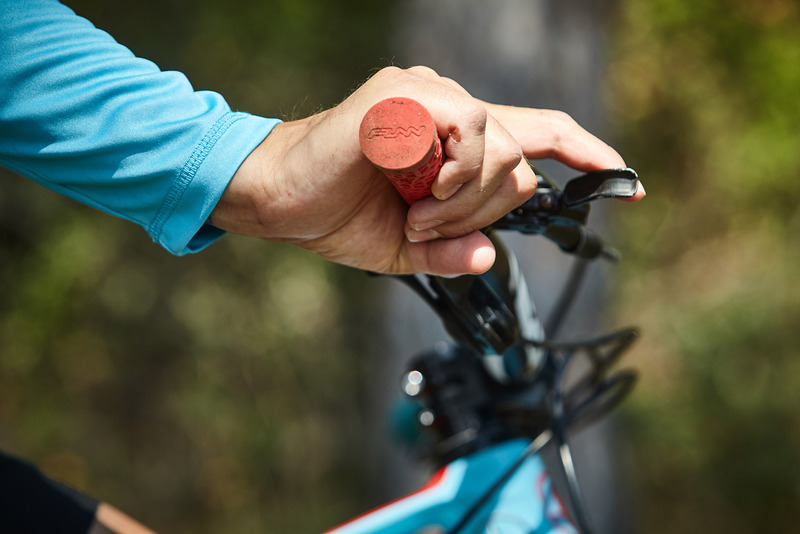 For many riders, brake levers seem to be a matter-of-course. 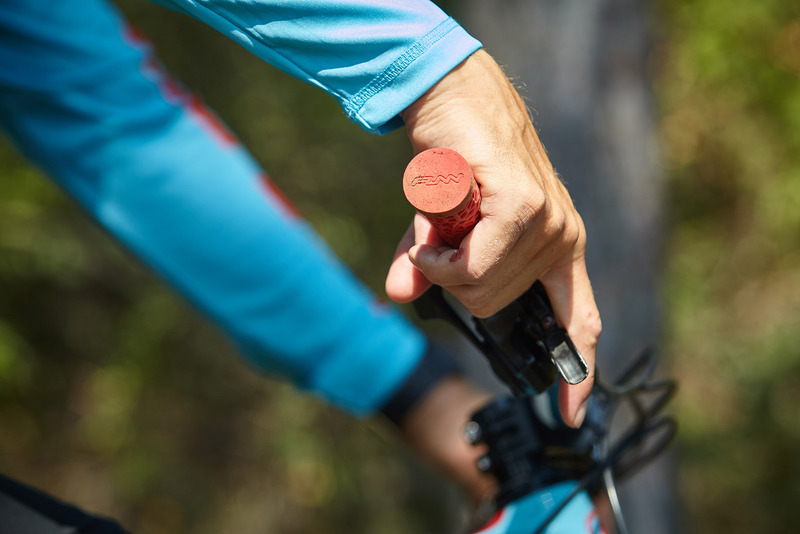 Once fitted to the handlebars by a professional shop mechanic, brake levers are expected to work correctly. In fact, everybody must set up the levers individually, so that they suit their body height. Incorrect set-up leads to wrong position of your palms and fingers on the handlebars when braking, possibly resulting in an accident. The culprit is an incorrect angle of the lever that makes your wrists either over-extended or too bent. 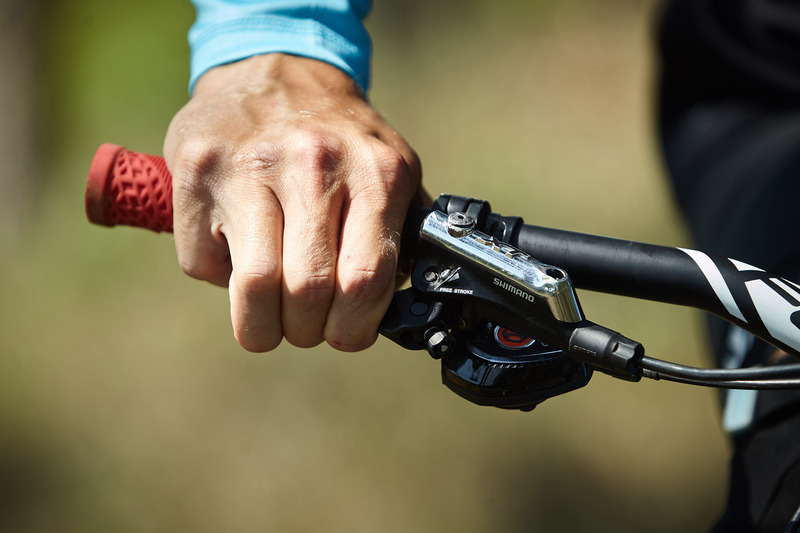 As the angle of the brake levers determines the position of your body on the bike, it’s important to keep them in a straight line with your lower arms, palms and stretched fingers, as you can see on the picture below. That way you can always brake comfortably and without pain. Much has changed in the brake lever design over the last 20 years. 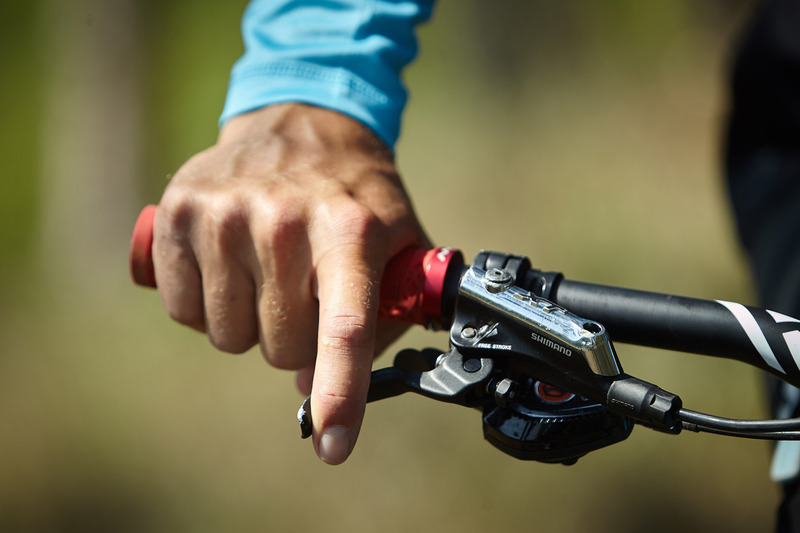 While in the 90s, the levers were long to accommodate all your fingers for higher pressure and efficiency, today you can comfortably brake using exclusively your index fingers, which leaves the rest for the handlebars control. 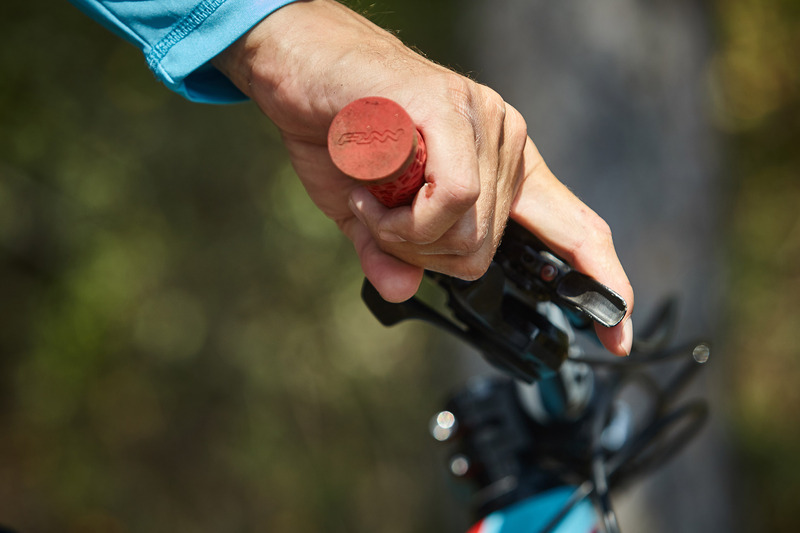 Using more than one finger in the braking process will always worsen your grip, which may be a problem as the handlebars represent one of your most important contact points with the bike. In case your fingers become fatigued, you can add the force of your middle finger, but that’s enough. More fingers on the lever are a ticket to losing control over the bike on the first harder bump, which could kick you off the saddle. 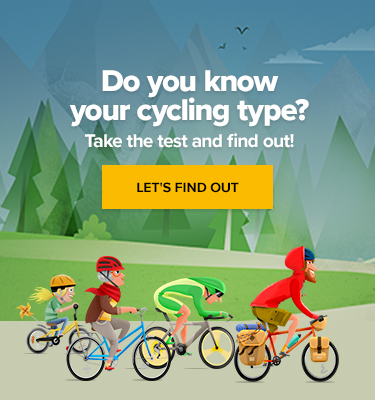 Check your brake levers before your next ride and maybe you’ll experience an instant improvement. And forget about using more than two fingers while braking!